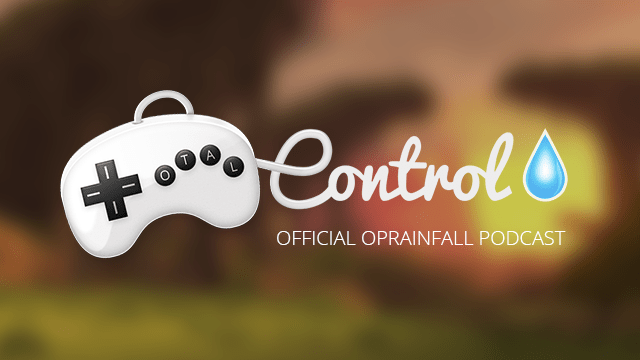 Welcome to the fourth episode of the Total Control Podcast, the official podcast of oprainfall. In this episode, recorded September 16th, 2014, Azario Lopez, Justin Guillou, Jeff Neuenschwander, and Josh Speer come together to discuss several gaming topics, including Microsoft’s purchase of Mojang, Theatrhythm Final Fantasy Curtain Call, the Super Smash Bros. for 3DS demo, our final thoughts before TGS 2014, Renegade Kid, and Xenosaga. WARNING: Spoilers for the Super Smash Bros. character roster from 35:30 to 38:00. Note: Jeff apologizes for any heavy breathing while he was talking. He just got a headset and didn’t have a chance to test it out properly before the podcast recording. Also, this episode was recorded before the licensing issues of the RetroN 5 were revealed. If you want to check out the Kickstarter projects we discussed during the podcast, click the links below. Check out Josh’s article on Mega Man in Smash Bros.
Also, check out Justin’s review of Danganronpa 2: Goodbye Despair. Special thanks to Minh Nguyen for the awesome Total Control logo.